Giving gift cards this holiday season? Make a cute stocking gift card holder to make your gift extra special! Gift cards are becoming more and more popular as holiday gifts. They are available for nearly any store or restaurant. You don’t have to worry about returns or exchanges because the recipient can choose exactly what they want. If you are giving gift cards this Christmas, this cute stocking gift card holder is a great way to package it. And it is super easy to make! This cute handmade gift card holder was made with the Tags & Trimmings stamp set and the coordinating Trim Your Stocking die set. I have been featuring this fun bundle all week. In case you missed my earlier posts, you can check out all my Trim Your Stocking projects here. 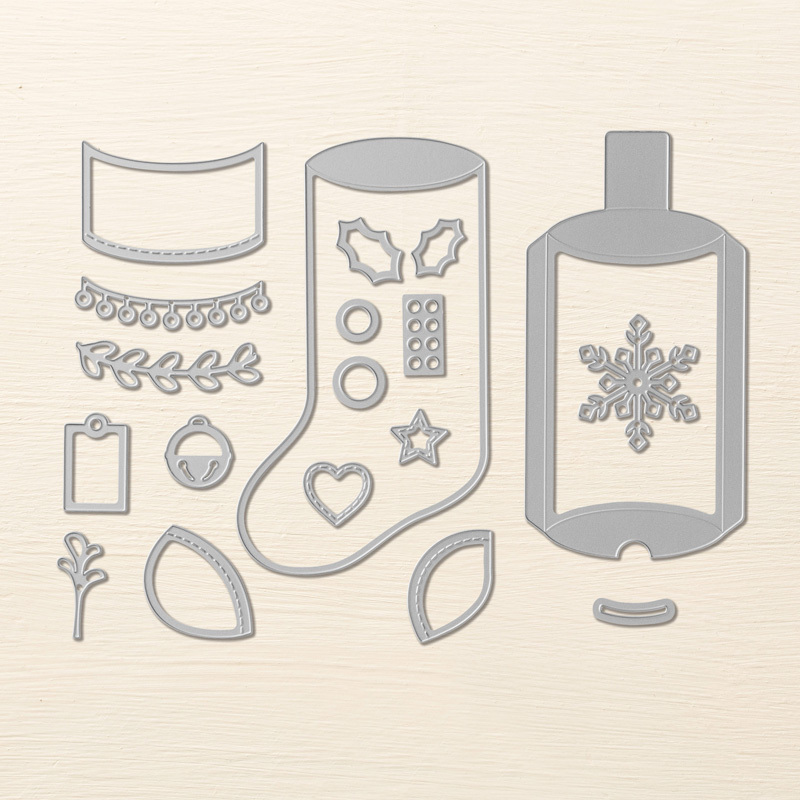 If you buy the Tags & Trimming stamp set and Trim Your Stocking Die Set as a bundle, you save 10%. This set is only available until January 2, 2018 so get yours today! You don’t want to have to pay the inflated prices on eBay if you decide you need it later. Use the Tags & Trimmings Stamp Set. 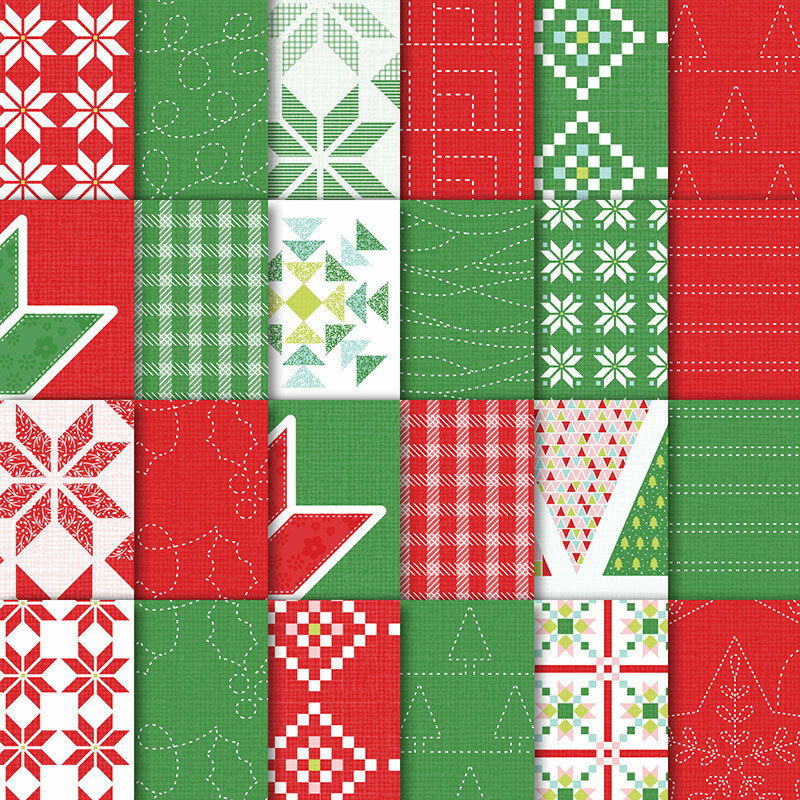 Using the same color ink pad as cardstock, stamp the snowflakes randomly on the stocking die cut. Using black ink, stamp Enjoy on the front of the stocking. It would be helpful to place the cuff and trim at the top to ensure that you stamp below where those will be placed when you glue them down. Adhere the cuff, heel, and toe to the stocking. Adhere the pom pom trim right below the cuff. You can use the mini glue dots for this or the Fine Tip Glue Pen. Fold on all score lines, using a bone folder to ensure crisp folds. With the curved score lines at the top of the stocking and on the pillow box die cut, it is helpful to start in the center and work your way to the edges folding in along the curve. Add Tear & Tape adhesive to the side flaps and the bottom tab on the pillow box die cut. Remove the adhesive backing from one side flap and line up with the top flap and long side edge on the stocking. Press firmly to make sure you get a good seal. Repeat for the other side. Remove the backing from the tab. Fold that inside the pillow box and then fold down the flap. Put a bone folder inside the pillow box from the top opening and press that tab to the side to make sure it sticks. Add the gift card and fold down the top flap with the thumb notch. Fold in the other flap to close. Add a mini glue dot to the back of the snowflake and place on the left side of the cuff. Add a mini glue dot to the back of the jingle bell and adhere to the top of the snowflake. 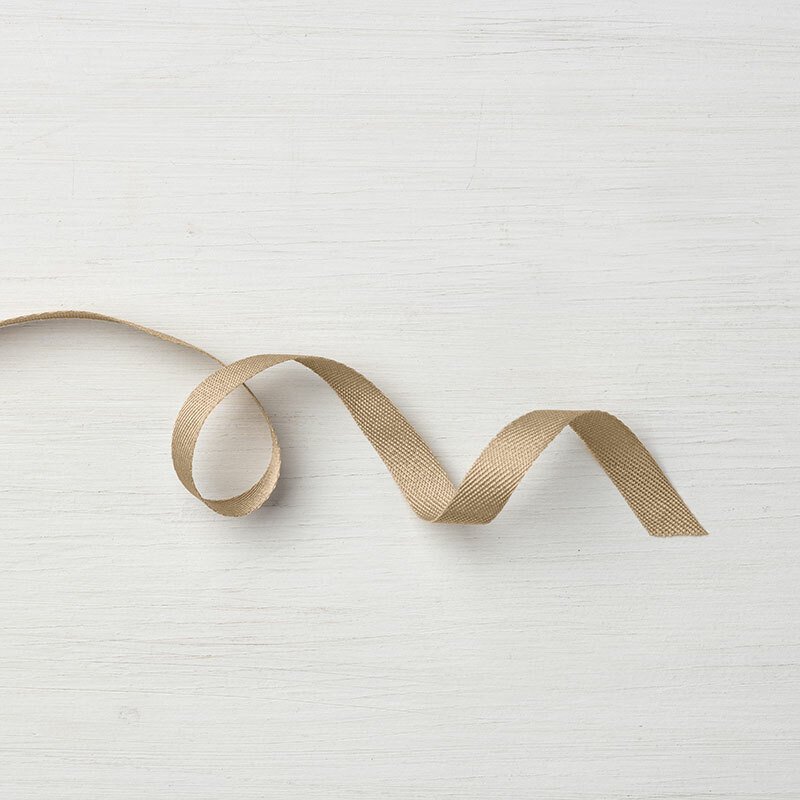 Tie a small bow with the Crumb Cake Classic Weave ribbon. Trim ends. Stick down to the top of the jingle bell with a mini glue dot. Sign up for my email list and get an exclusive tutorial for a cute Rudolph the Red Nosed Reindeer Gift Card Holder. 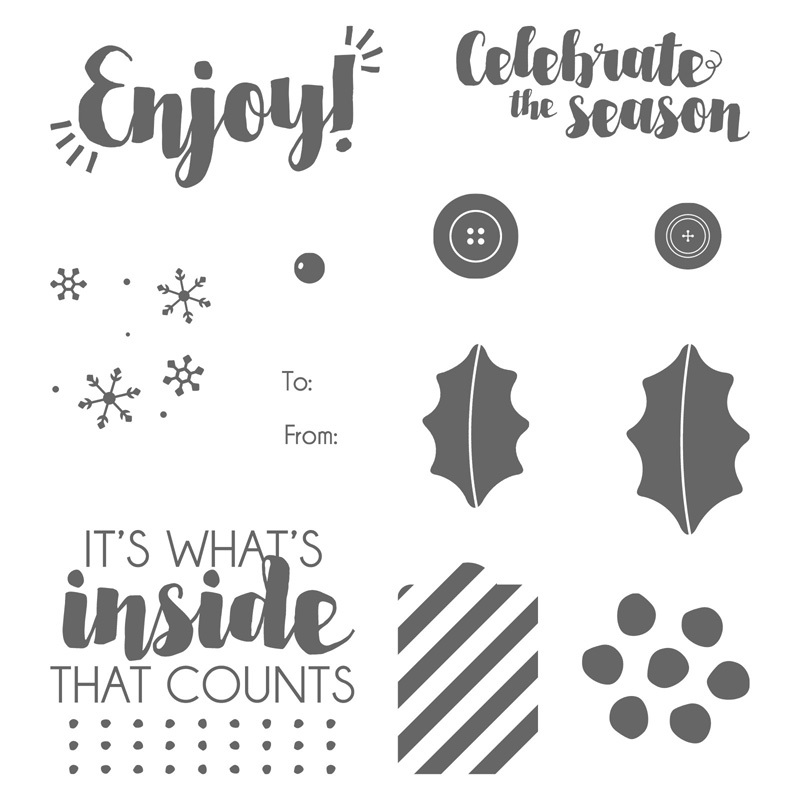 You will also have access to all my past Freebie Friday downloads. For more ideas like this one, be sure to check out the rest of my handmade gift card holder ideas. Happy holidays!